Thanks for stopping by, bookmarking and sharing Sean’s Yoga for Sports blog! 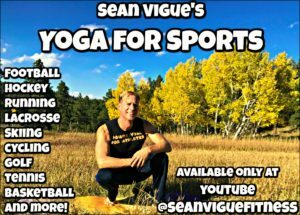 It is my goal to take your sports requests (keep them coming by commenting below the youtube videos) and make a 10-15 minute yoga video which will give you the tools to be your very best on the field, court, track, road, bike, gym and wherever else you love to move your body and crush the competition. Adding yoga to your cross training will enumerate a serious SPARK to your physical and mental performance and abilities. 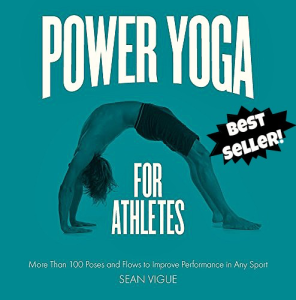 Bestselling books have been flooding the fitness market to open up the unlimited yoga poses, flows and sequences available to the athlete (of any fitness level) who is HUNGRY to become faster, stronger and more flexible every darn day! Build some serious athletic core strength to top off your sport mastery. Train with me before your rival does. Please give each video a “LIKE”, Subscribe to my YouTube channel to never miss a workout and check in below each video with your feedback and questions…and just to let me know you’re there. There is no limit to what we can do together! *Watch for the videos HERE as they’re posted! And, before you click away from these class…I invite you to add the life changing power of Pilates to your training. Here’s two recent “Pilates for Football/Athletes” that will strengthen, build and stretch your entire body. Hi Sean. I’m a beginner at yoga and I’m enjoying your routines. Do you have one for kayaking?